The Ratargul is one of the best fabulous place in Sylhet. It is one and only swamp forest of Bangladesh. At more than half time in a year the Ratargul is gone under water. 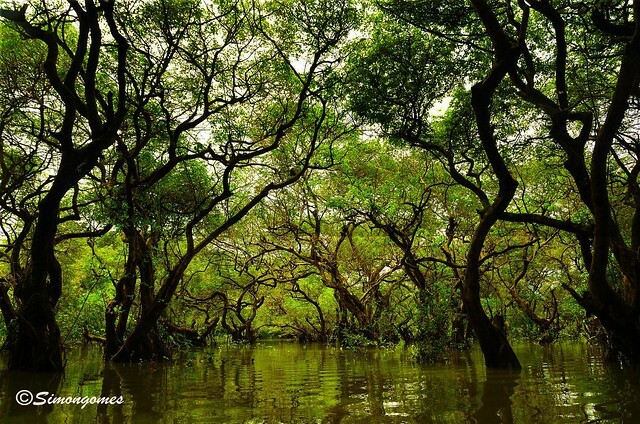 For this reason Ratargul swamp forest is different from the other forests. In Ratargul swamp forest there are about 73 kinds of trees, about 25 kinds of Mammals, about 20 kinds of reptiles, about 175 kinds of birds and 9 kinds of animal who live in ground and water etc. The flourish green forest is about 331 acres and most of trees of the forest are sarul, Hizol and Karoc etc. It is seemed like as Sundarban. You will be deprived from the great natural beauty if you visit to Sylhet, without going to Ratargul.